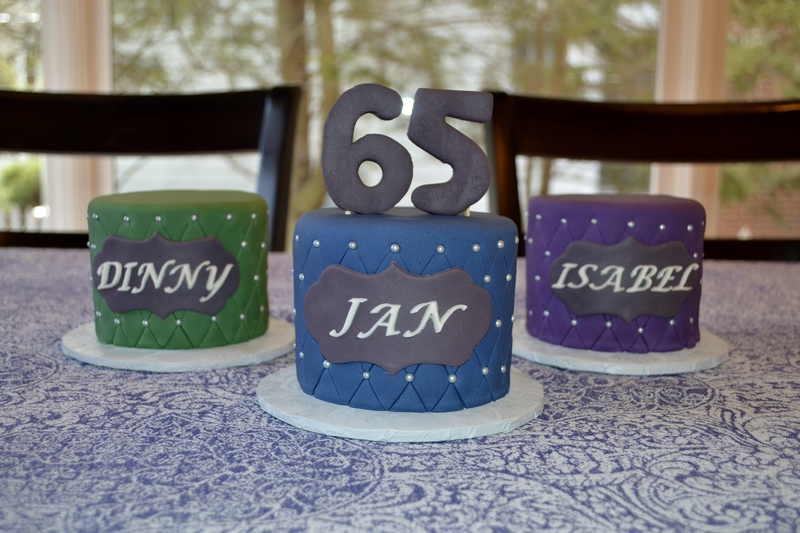 My client for this cake was throwing a 65th birthday celebration for three of her friends. Instead of doing one big cake for all of them, I created an individual 4 inch cake for each guest of honor. I used complementing colors and tied the three cakes together by using the same quilted decoration and gray accent color.